This model is 5' 10" and wears a size S. Their chest measures 32" and the waist 23". 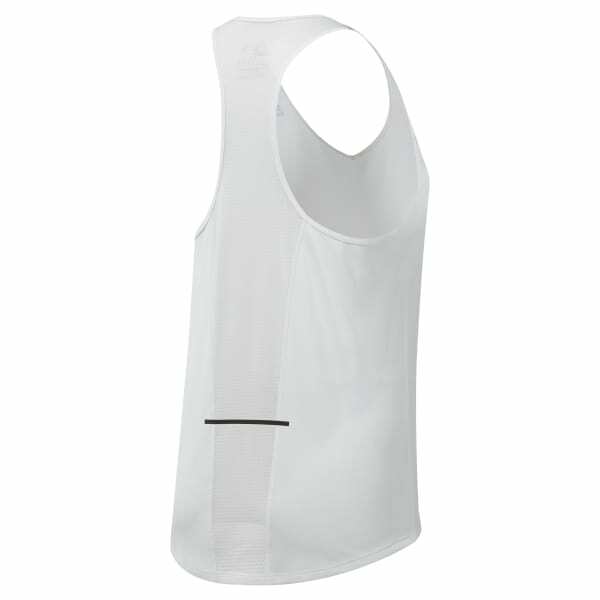 Outfitted with Speedwick technology and mesh at the back, this women's running tank top is designed to help keep you cool indoors or out. 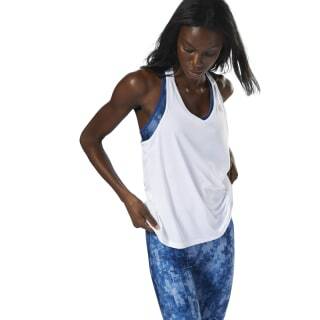 A reflective graphic gives a touch of visibility during low-light jogging sessions, and the racerback construction lets you really get your arms pumping.